Our hanging birdbaths are ideal for hanging outside your door or window to give you a close-up view of your feathered friends that will come to enjoy it. 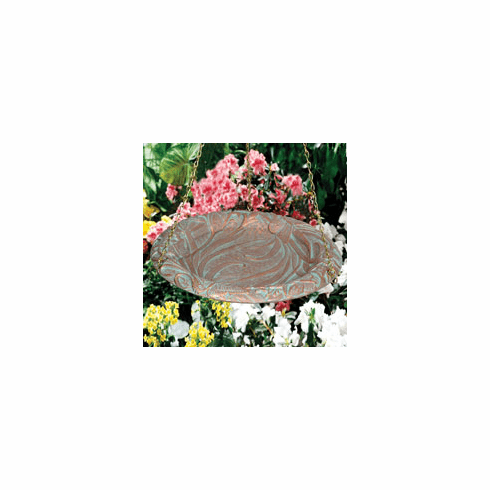 Made of rust-free aluminum, this birdbath is available in three earthy colors - Copper Verdi and Oil Rub Bronze. Makes a great birdwatcher gift.